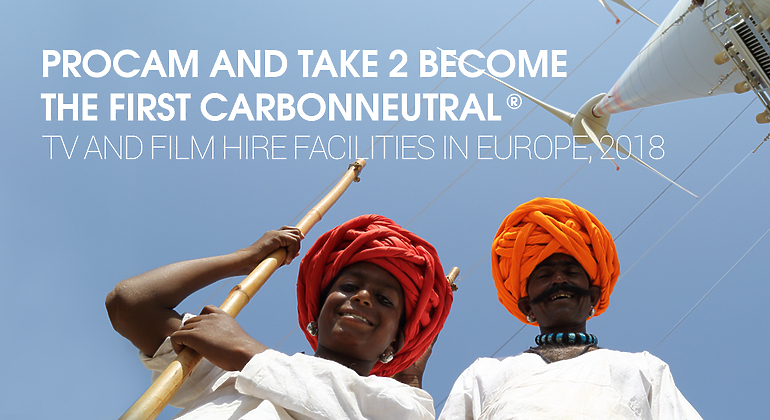 London, UK – March 7, 2018: Procam (www.procam.tv) Europe’s largest digital cinematography and hire firm and Take 2 (www.take2films.co.uk) leading supplier of professional digital and motion picture equipment within the film and TV industry, announced today that they have achieved CarbonNeutral® company certification. 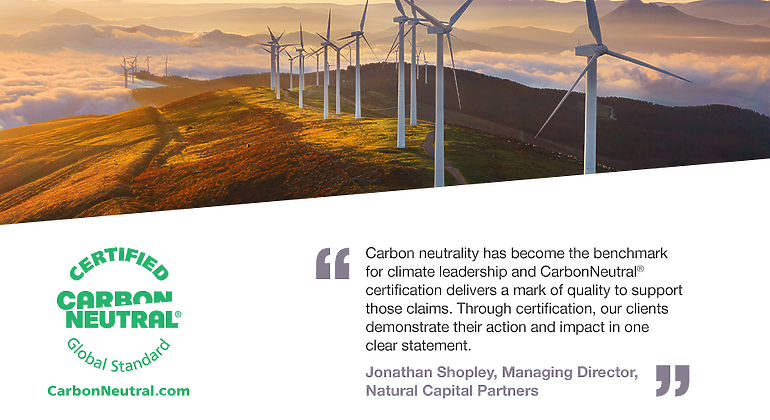 To achieve CarbonNeutral status, Procam and Take 2 are working with Natural Capital Partners, experts in the delivery of solutions for positive impact on carbon, renewable energy, biodiversity and water. Procam and Take 2 have achieved net zero greenhouse gas (GHG) emissions in accordance with The CarbonNeutral Protocol, the global standard for carbon neutral programmes. This involved a rigorous and independent assessment of the CO2 emissions produced from gas, company vehicles, electricity, electricity losses, water supply, water treatment, business travel, business hotels, waste, staff commuting and 3rd party deliverables, coupled with an offset-inclusive emissions reduction program. 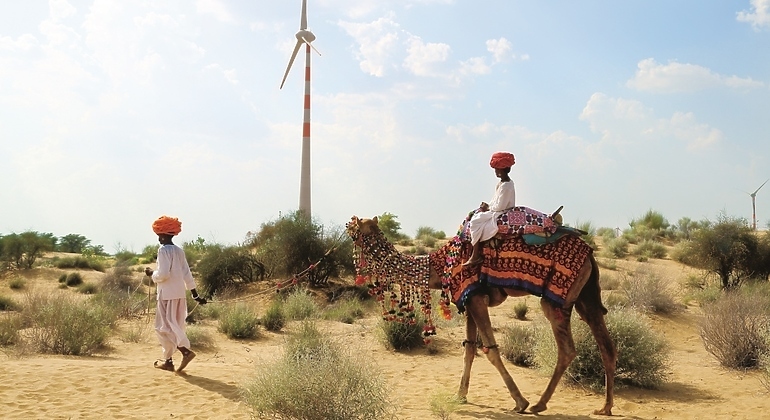 As part of its commitment to offset its carbon footprint, Procam and Take 2 are supporting the West India Wind Power project which is located across three districts in India – Jaisalmer, Rajkot and Surendranagar. 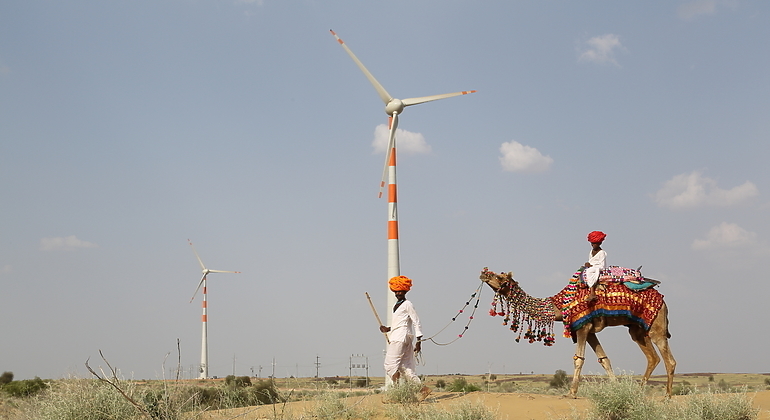 This Verified Carbon Standard (VCS) wind power project plays a key role in helping India meet its growing energy demands while supporting the transition to a low carbon economy. 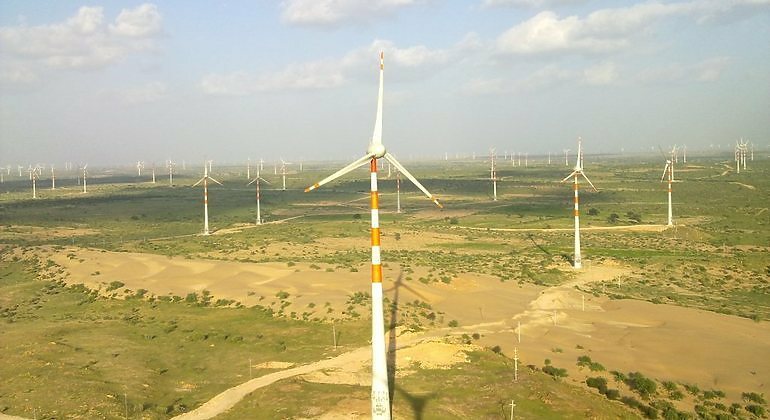 The project consists of 242 turbines, each with a capacity of 800kW. 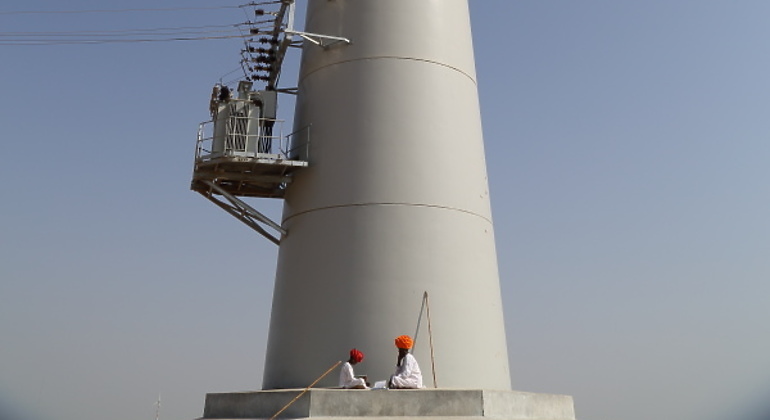 Annually the project delivers approximately 375,000 MWh of zero emissions renewable electricity to India’s national grid, reducing CO2 emissions by displacing electricity which would have otherwise been drawn primarily from fossil fuel power stations. This improves local air quality while avoiding solid waste generation associated with coal-fired power plants. Procam and Take 2 are also members of BAFTA’s sustainability initiative, albert. Through this partnership, both companies have reduced their carbon footprint through the purchase of Renewable Energy Guarantees of Origin from the UK through Good Energy, which guarantee that 100% renewable electricity has been sourced in line with the Greenhouse Gas Protocol Scope 2 emissions reporting guidance, set out by the World Resources Institute. Procam and Take 2 aim to abide by guidelines set by albert and have implemented company-wide initiatives across its offices in London, Manchester, Glasgow and Edinburgh to reduce its carbon footprint. Completed most recently is Procam’s new London HQ, which was built with impressive eco credentials. With an EPC Rating of A, Very Good BREEAM rating, and LED lighting throughout the building, it exceeds the standards of environment sustainability required by building regulations. Procam is Europe’s largest digital cinematography and hire facility. 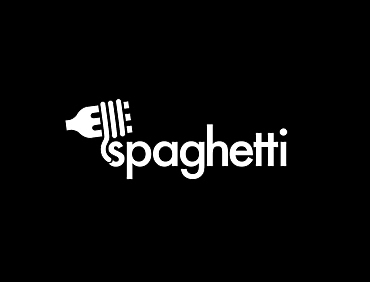 For over 28 years, it has supplied production equipment to industry professionals throughout the United Kingdom and internationally. With offices in London, Manchester, Edinburgh, Glasgow and New York, Procam’s services include equipment and crew rental, project management, workflow consultancy and 24/7 technical support. Also part of the Procam Group are Procam NY (www.procamny.com) Procam Projects (www.procamprojects.com), True Lens Services (www.truelens.co.uk) and Take 2 (www.take2films.co.uk).